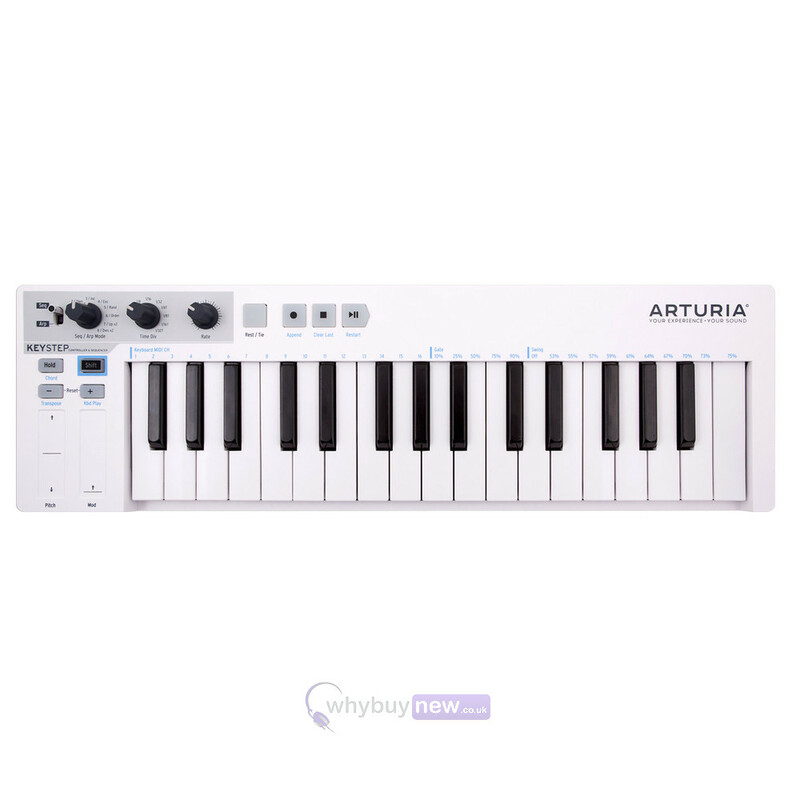 This is the Arturia KeyStep portable USB keyboard that's small enough to take with you and powerful enough to get creative with music wherever you take it. The MIDI in/output allows you to connect to any MIDI hardware instrument while the other in and outputs let you connect to nearly any synthesiser, whether its analogue, digital or even software. 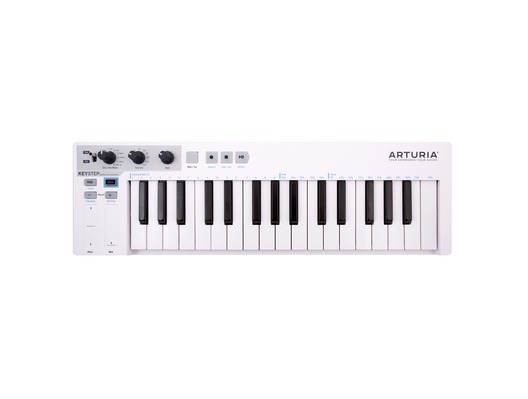 Best of all the Arturia KeyStep is powered by USB so you won't have to be tethered to a mains power source in order to get your creative juices flowing. 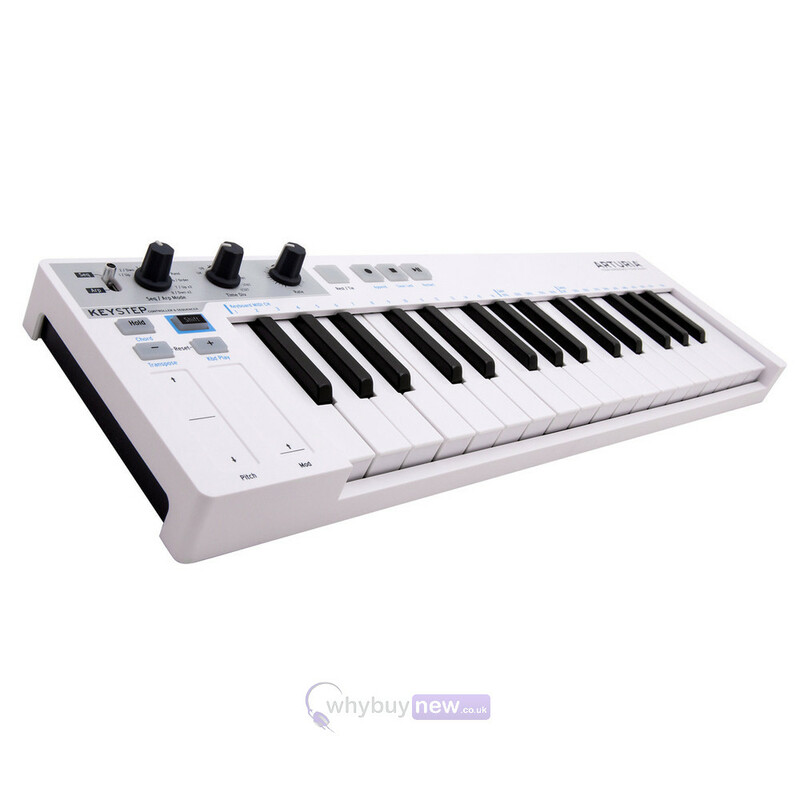 The Arturia KeyStep is a portable USB keyboard which features three different modes of operation - sequencer, arpegiattor and controller. Its compact design makes the MiniLab ideal for those with limited space or musicians on the go. KeyStep is made to widen the potential of your setup, regardless of what instruments compose it. It is compatible with practically all existing synthesizers, either analog or digital, hardware or software. The three CV outputs send pitch and gate signals along with velocity, aftertouch or mod. ribbon signal to control an analog instrument or module. The MIDI DIN output can be used to control any MIDI hardware instrument while the USB connection allows you to control your plugins and virtual instruments. 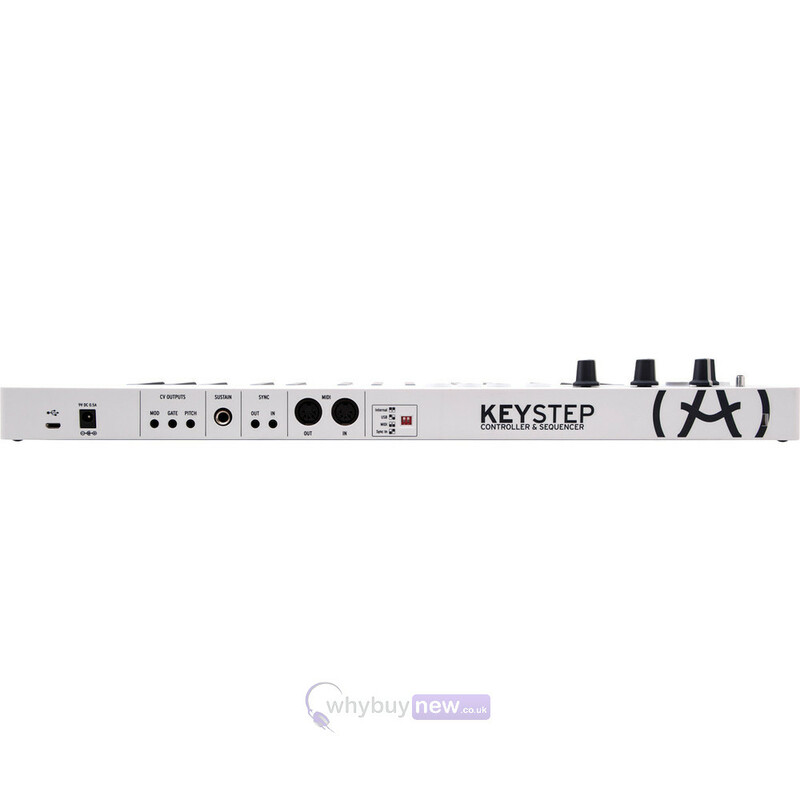 KeyStep also integrates a socket for a sustain pedal, sync input and output to follow or send a clock signal, and MIDI input to use an external keyboard or use KeyStep as a MIDI to CV converter.